Bank Indonesia has announced customers who wish to purchase electronic money cards from five issuing banks from October 16 to 31, 2017, will be given a complimentary card. Pungky Wibowo, the Central Bank’s Director for Electronics and Financial Inclusion, hoped that the initiative to make the cards free would encourage their use on toll roads prior to the implementation of a cashless program. According to the Toll Road Regulatory Agency, as of October 6, cashless payment on toll roads has reached 72 percent from the total transaction. Wibowo states that, until the end of the month, toll road users will be given a free card upon entrance of a toll gate. However, he stressed that this applies only for those who do not currently own a card. BI and toll operations company Jasa Marga is aiming to fully implement the cashless system by October 31 and started their dissemination of the program last month. The policy involves four state-owned lenders Bank Mandiri, Bank Rakyat Indonesia (BRI), Bank Negara Indonesia (BNI) and Bank Tabungan Negara (BTN) as well as private lender Bank Central Asia (BCA). Cards priced Rp. 20,000 to Rp. 30,000 can be purchased from these banks. Although card issuance has been made free-of-charge until the end of the month, the top-up of the card will not. 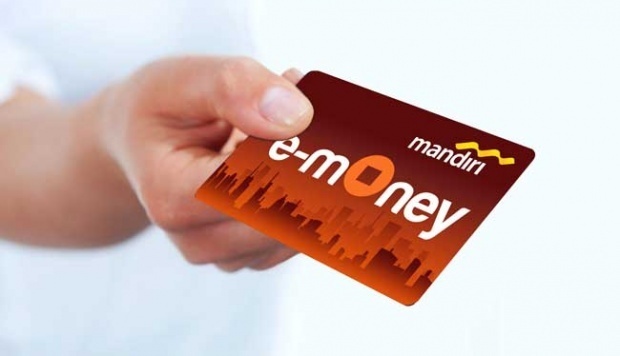 Top-ups of the card can be done at ATMs, mini-markets and Transjakarta bus shelters.